I offer the following narrative written in a somewhat tongue-in-cheek fashion and for creative reason. In no way am I implying that the people of the project are less than serious, willing, or able in attaining their goals. I want to emphasize that I sincerely applaud the efforts of all those involved and described in the work that follows. The people I write about in this article are to be congratulated in their efforts, and their hospitality and cooperation are deeply appreciated. I also wish the facility and long-term future of this venture be one of great success and a model for the future. I will personally support their efforts now and in the future, and do everything possible to help them in their plans. Several years ago, I was contacted by Morgan Lidster of Inland Aquatics regarding a surprising call he had received. Apparently, a gentleman had offered to sell him cultured Caribbean corals, including stony corals, from a coral farm in Dominica. Morgan asked if I had heard of the man, the company, the farm, or anything about it. I told him I had not, and would be very surprised if such a place actually existed. If memory serves me correctly, Morgan did place an order, but never received it. The explanation of why will soon follow. Over the next few months, I received a number of other emails of a similar inquiry, and my curiosity was piqued. Hearing little more of substance about it, James Wiseman did a search on the internet and found a company called Applied Marine Technologies that was apparently a very real coral farm in Dominica. He was told they had thousands of corals ready to be shipped out. James contacted the company and spoke with the owner, Alan Lowe, quite extensively. 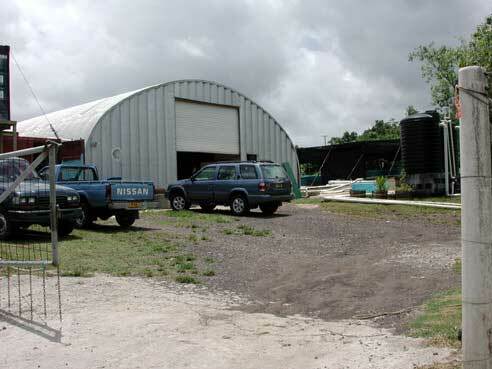 At one point, James even had tentative plans to visit the facility to offer engineering expertise for the farm's systems. The trip never materialized. Once again, my brief and indirect contact with this place faded, and it wasn't until a post on NOAA's coral-list that the facility's name resurfaced. This time, a concerned biologist was asking for more information on the facility, and expressed concern about the possibility of Indo-Pacific corals present at the facility and the potential ecological impact from the accidental introduction of non-native species. A discussion ensued, with little feedback as to anyone's real knowledge of this mysterious facility. Later, during a work-related project, Dr. Andy Bruckner inquired about this facility, and I told him of my indirect knowledge of the place, and also expressed interest in finding out more, especially given the concern over non-native corals in the Caribbean, as well as the more aquarist-related interest of a facility claiming to have tens of thousands of Caribbean corals growing and ready for sale. He felt the same. We spoke of it numerous times over the intervening months, and neither of us could gain much factual information. 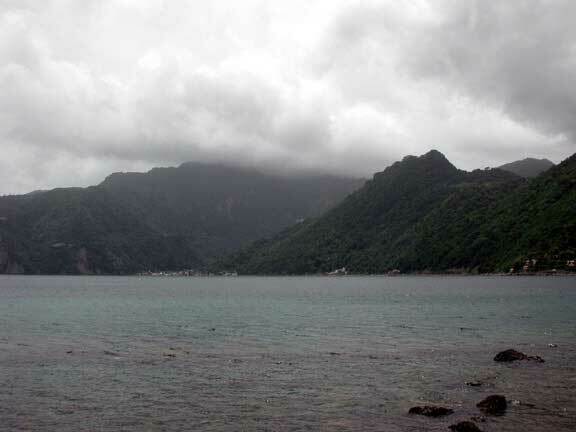 The entire thing smacked of hearsay and mystery until recently when it happened that I was able to breach the mystery to uncover the truth about this coral farm in Dominica. 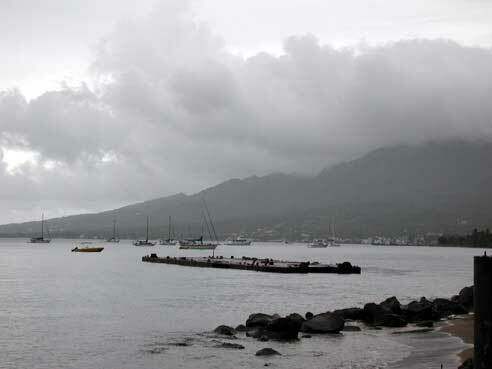 When Alan Lowe started a coral farm in Dominica, he had a potentially brilliant idea. 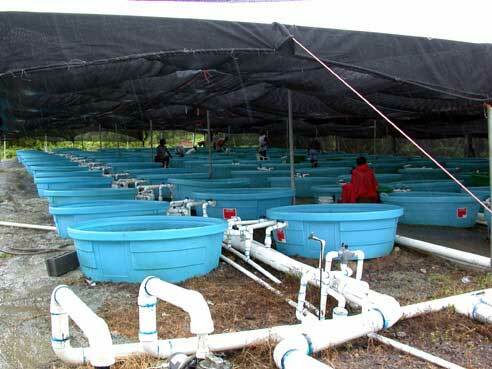 His farm, he claimed, would use a patented technology to grow corals far faster than they would grow in the wild. He sold the idea to the people of Dominica, promising an environmentally sound and new industry that would provide many new, and much needed, jobs to the island. 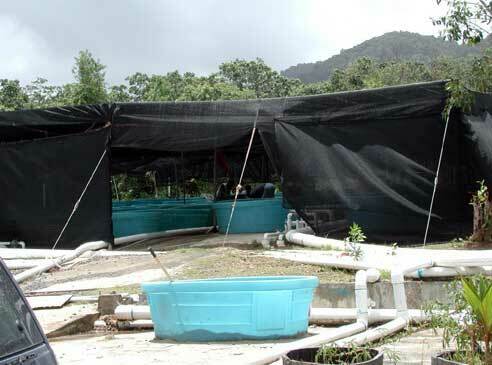 In turn, the corals grown at the farm were to be used for restoration projects, for education, and to sell to both the public and private aquarium markets. His vision even extended as far as to make a tourist attraction of the farm, and he had even set up a large pool where people could snorkel amongst a miniature reef made of captive grown corals. Unfortunately, things didn't quite turn out as planned. Alan Lowe soon discovered that Caribbean corals grow slowly, and funded restoration projects weren't growing on lush tropical trees - or any other trees, for that matter. Furthermore, to export and sell stony corals, he had to fulfill CITES obligations. 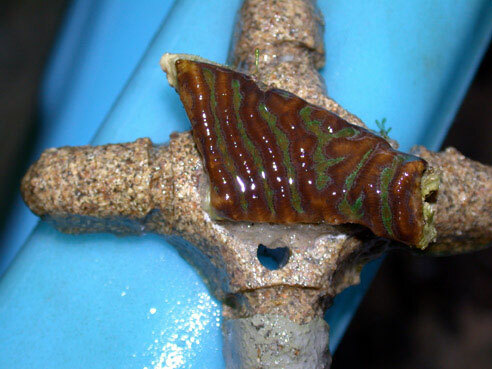 Dominica is a CITES party, as are the major U.S. and European markets where the cultured corals were likely to be sold. There was also another problem. To export CITES listed animals, Dominica had to have a scientific authority established that would provide the appropriate documentation to fulfill the CITES legislation, including a non-detriment finding for the reefs where the corals were collected. 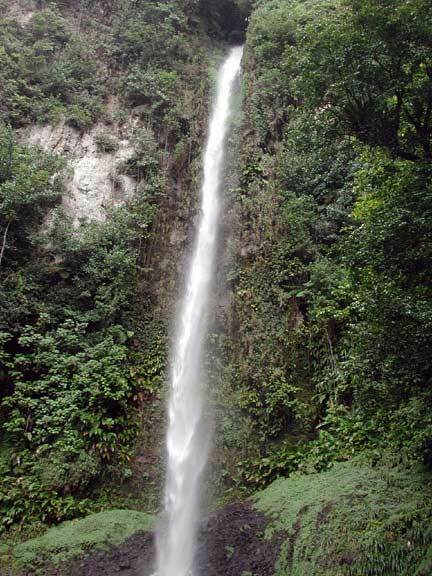 Dominica didn't have a scientific authority. Logistically, this would be set up as part of the Fisheries Department. But, the Fisheries Department doesn't even have a boat, let alone scientists to conduct surveys, much less a scientific authority. 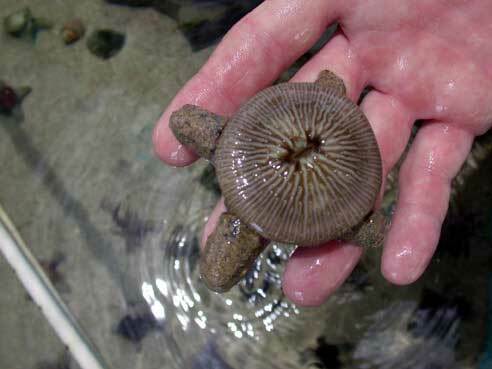 These troublesome details apparently didn't bother Alan Lowe, who eventually sent a shipment containing stony corals to the U.S. through Florida. Not surprisingly, the shipment was seized and confiscated. To my knowledge, that was the first and last shipment ever made from Dominica. During the intervening time, though, Mr. Lowe also felt that Indo-Pacific corals might be just the ticket to bring some income to the farm while these other issues were being addressed. It seems there were other financial stakeholders anxious to see some return on their investment. Unfortunately, the presence of Indo-Pacific corals at a coastal facility in the Caribbean made a few people a little nervous. Negative press began out of ecological concern, and the coral farm's future was suddenly uncertain. Thus began a rather emotionally charged and dramatic falling out between Alan Lowe, his business partners, and many of the Dominican people involved, including those in government offices. Various arguments, threats, and even arrests were to follow before the final break-up of the parties involved. 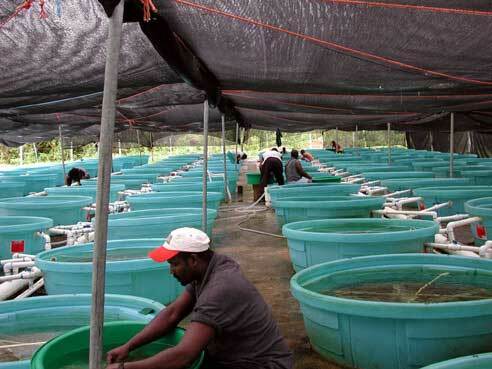 Today, Lowe seeks to take his technology and begin a new farm in Jamaica, and a less than amicable parting left the Dominican coral farm to new owners. 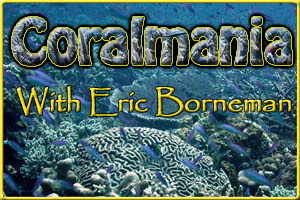 Enter Norm McDonald, the current owner of the coral farm and no friend of Alan Lowe. His son apparently helped conceive the farm idea with Mr. Lowe, and solicited his father's financial support after Lowe left the facility. Mr. Mc Donald, a Ft. Lauderdale resident, is a rather amicable businessman who has spent considerable time in south Florida on his boat visiting islands that have coral reefs. However, he is not a coral farmer. Nor is he a scientist, Dominican, or legislator; all necessary qualifications to make a go of a somewhat defunct and semi-operational coral farm on this island. Of course, neither was Alan Lowe, for the most part. This is where I come in. Last year, during an international workshop on stony coral trade in Indonesia, I worked extensively with, among others, Andy Bruckner of the National Marine Fisheries Service of NOAA, and John Fields, a fisheries specialist working for the US government on CITES trade issues. We worked well together, and when the opportunity arose for the three of us to visit the coral farm, no longer named Applied Marine Technologies but instead currently adopting the somewhat hyperbolic name "Oceanographic Institute of Dominica (OID)," we were happily reunited with each other in Puerto Rico before departing for the Nature Island; slates, cameras, files, and laptops in hand. We had been invited to visit OID by the Dominican government, to conduct surveys of their reefs, and to lend assistance in helping them set-up the requirements that would be needed for them to export corals to the United States. After landing and then traversing the entire diameter of the island that is, for all intensive purposes, more vertical than horizontal, we were able to pick up our rental Jeep; a charming vehicle with four different wheels on four different tires. Unable to find food anywhere on a Sunday afternoon (for apparently everyone cooks at home on Sundays, leaving those without a home to, I suppose, forage for grasses and berries), we made our way up the Caribbean coast towards Portsmouth where we would be spending the next week at the farm and diving collection sites. A fork in the road displayed a weathered sign advertising Applied Marine Technologies as somewhat of a tourist attraction. While the small handmade plywood sign was far from grand, it was the equivalent of a billboard on this island where road signs and landmarks are virtually non-existent (the main town of Roseau has the only traffic light on the island, and it was not working - or necessary, for that matter). We retired early at the Coconut Beach Hotel, just outside the sleepy fishing village of Portsmouth (Figure 4), skeptically curious to see what exactly this somewhat infamous coral farm would turn out to be. .like de snake." I did remember, and with a great twist of irony, I found myself several weeks later watching a Travel Channel documentary on Dominica just days after my return. The host of the show was being guided in a boat up the Indian River by none other than Cobra himself. I suppose we should have accepted, knowing now that he must certainly be the most famous "official guide" on the island. After numerous wrong turns, and necessitating a local resident to find it, we made a left off Michael Douglas Boulevard and arrived at a gated facility a few hundred yards from the water (Figure 5). We jested that his movies must be very popular in Dominica. After meeting Norm McDonald, we were led to a small office where we were introduced to various employees. 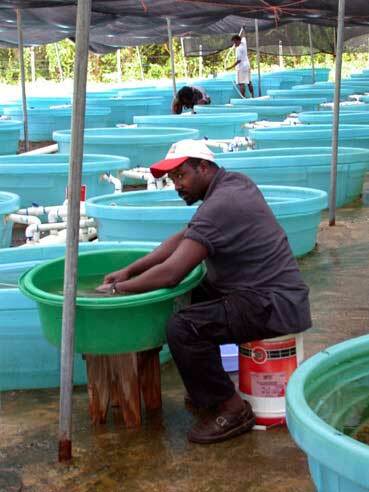 The facility manager and person in charge of growing corals, Joseph Nixon, is a sharp young Dominican who knows the local coral reefs well, and had participated in earlier restoration projects under the former Applied Marine Technologies (Figure 6). Unfortunately, like McDonald, his background is not exactly related to coral culture. He is, or was, a pilot for a small Caribbean airline carrier. The staff scientist was also present; an intelligent, charming and wholly likable Dominican gentleman, Clayton Shillingford (Figure 7). His background is not quite coral related, either. He's a botanist and agribusiness consultant. Several members of the fisheries department were also present, including Algernon Philbert, senior fisheries officer in the Ministry of Agriculture and the Environment. They were present to hear about what they could do to monitor Dominican reefs and help ensure sustainable development of a coral fishery on the island. These personable and interested persons were to accompany us on our surveys, to provide any assistance for us, and to offer their knowledge of the farm and their department. Of course, this did depend largely on them actually being able to find a boat to get out to the reef. We were apparently scheduled to meet with the Prime Minister, as well, but a medical emergency forced him to be flown to St. Lucia. We were then asked if we needed any police officers to attend, to show us the documented reports of the "evil" Mr. Lowe (the former owner) and his "terrorist activities", threats, and general misconduct. We declined, graciously. Figure 6. 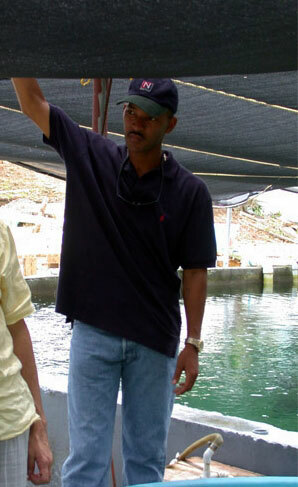 Joseph Nixon, facility manager, Oceanographic Institute of Dominica. Figure 7. 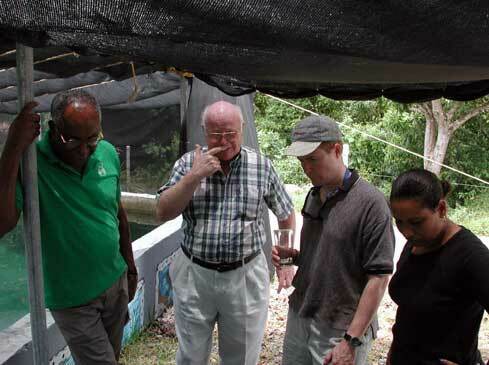 Clayton Shillingford, agribusiness consultant (left), Norm McDonald, owner of OID (center), John Fields, fisheries biologist CITES (right center), and OID staff member. The last gentleman to arrive in the now extremely crowded small office was Mr. Harold Guiste, Chief Fisheries Officer from the Dominican government (Figure 8). Taking immediate control of our cordial banter, he explained vociferously how Mr. Lowe had deceived Dominica and the Dominican people, perpetrated horrible deeds, and was thankfully gone from the island. Now that the Mr. McDonald and his able-bodied staff were now at the helm, there was no doubt that the farm and the reefs were in great shape. Apparently what was really needed was for us to go on Dominican TV and tell the people that the farm is a good idea and business, and that now that Mr. Lowe was gone, everything was fine and going to be just as was promised. We cast glances at each other, and told Mr. Guiste that it might not be a bad idea to actually look around the farm a bit, go see the reefs, and sort of do the work we came to do prior to any TV commitments. A few hours and a couple of hearty guffaws later, we were shown the coral farm. Figure 8. 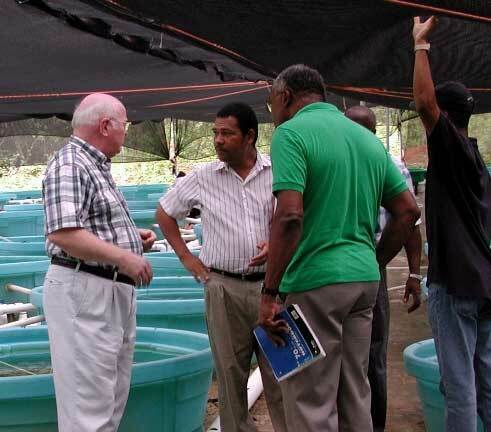 Norm McDonald, owner of OID (left); Harold Guiste, Chief Fisheries Officer (center); Clayton Shillingford, agribusiness consultant (right center); Algermon Philbert, senior fisheries officer (hidden right center); and Joseph Nixon, facility manager OID (right). The Oceanographic Institute of Dominica - In The "Flesh"
The coral farm was legitimately as productive as the myths had foretold. A large-ish pool was found at the beginning of the oceanic inflow into the facility (Figure 9). A kilometer offshore in 107 feet of water, Caribbean seawater was pumped into the Portsmouth coral farm. 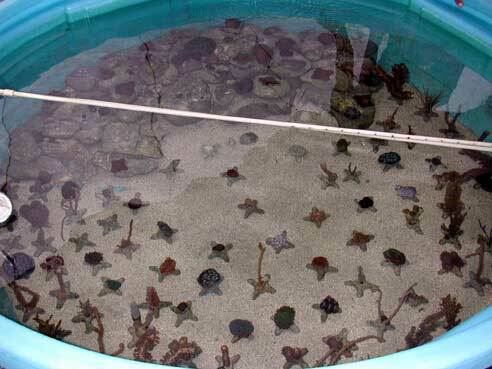 In this pool were piles of reef-rock and several large mother colonies that were being held prior to fragmentation for propagation (Figure 10). 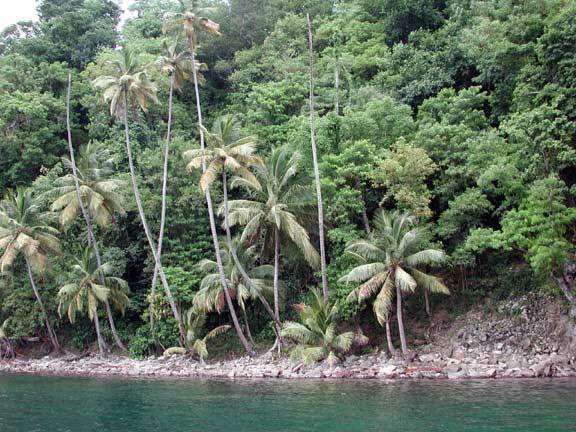 The corals looked generally healthy, with the exception of a Montastraea colony that had white plague. We noted that diseased corals were probably not a good choice for fragmentation. They agreed, apparently not having recognized coral disease before. Figure 9. Pipes bring seawater into the facility from a kilometer offshore in 107 feet of water. Nearby, a "display tank" was set up with a smattering of healthy and tantalizing coral propagules (Figure 11). We were admittedly taken aback actually seeing cultured Caribbean stony corals. 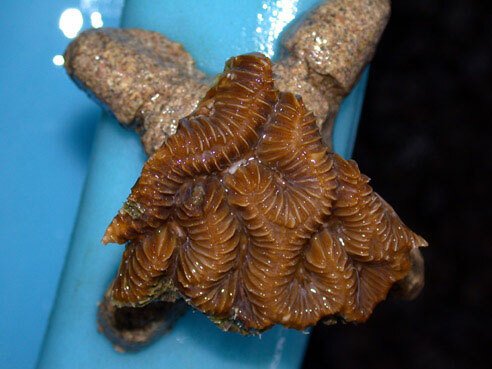 Upon closer examination, we noted the following unusual "Caribbean" corals (Figures 12, 13). When discussing the worrisome presence of Indo-Pacific corals in the office earlier, we were told that they were Lowe's brainchild, that they were aware of the ecological implications of having such species present, and that they were not planning at all to continue having anything to do with non-native species. Currently, all Indo-Pacific corals were set aside in their own closed tanks, and all were scheduled for export to a European facility within the next few upcoming weeks. We were told that no introductions were ever made intentionally, and that the facility treated their effluent water to ensure no introductions were made accidentally, either. We were also told that no Indo-Pacific corals ever came in contact with Caribbean corals. I guess these few had somehow slipped through the cracks. 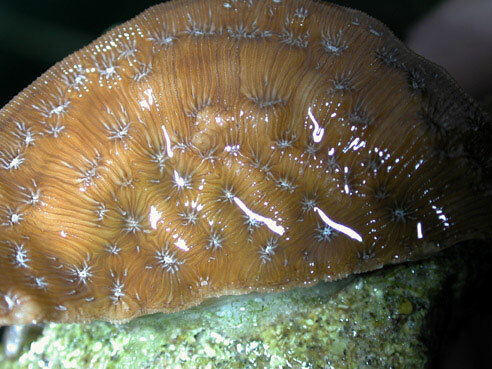 We noted that Fungia and Leptoria should probably be moved out of the Caribbean coral display tank. They agreed, although no one really seemed to have noticed that they weren't actually Caribbean corals in the first place. We were then shown the huge, if not somewhat defunct, "tourist-attracting" snorkel pool (Figure 14). At the present time, the pool had some various piles of rocks at the bottom. I rather suspected the tourist draw for this event might be a little slow, but since the pool was covered with shade cloth, at least tourists wouldn't have to bother with sunscreen and that annoying tropical sun like they would if they were out in the ocean snorkeling on a reef. They noted that that pool was not really finished or being used at the moment. We agreed, looking around sheepishly. Foreplay of the tour now over, we set upon examining the many rows of circular tubs that formed row after row in the main area of the farm (Figure 15). 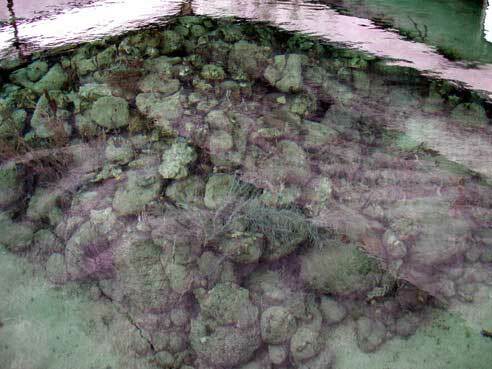 Nearly all of the tubs had pie-shaped divisions chocked full of coral propagules (Figure 16). 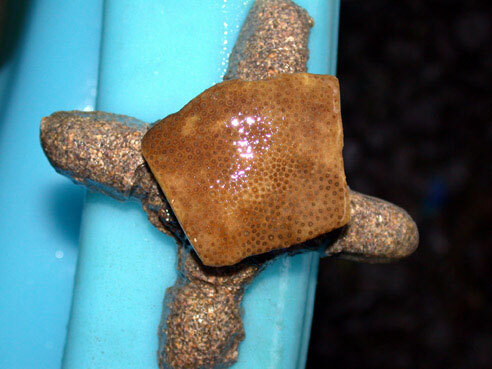 Each division served to separate same species fragments, with the majority of tubs housing gorgonians. Still, there was no shortage of Scleractinia here, and virtually all major species were represented (Figures 17-22). Each tub was on its own circulation loop, with water pumped in, and then directly back out, to the coastal water after passing through a UV sterilizer. No water exchange existed between the individual tubs. With very few exceptions, the stony corals looked healthy, if not a bit drab-brown colored, and all gorgonians seemed to be doing well. 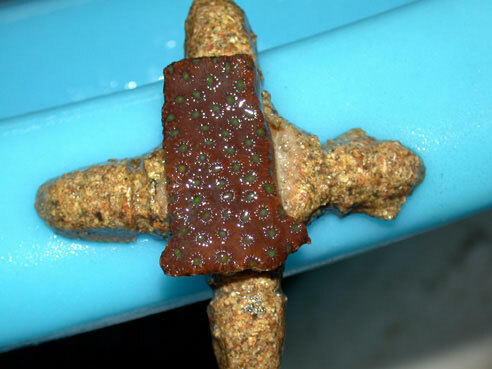 We did notice several stony corals that had been propagated with disease (Figure 23), and pointed out that not only should these fragments probably be removed, but that propagating corals with disease could spread disease throughout that tub system. They agreed. as though Indo-Pacific corals would not be affected by CITES legislation. We suggested that, irrespective of the safety of this system and the prevention of accidental introduction, it would be best if they hurried and got rid of any Indo-Pacific species still there, and avoided any further import of them. They agreed, and assured us again this was no part of their present or future plans. Viewing a final tank gave us an idea of what WAS among the future plans for OID. They were working at culturing sea moss (Figure 24). Sea moss is an algae from which a carageenan-rich extract is derived and used in various health and beauty products, as well as in making a traditional island drink. Jamaica has traditionally provided several sea moss beverages that are also available in the United States, and while thick and - well - chunky, it is a rather tasty, healthy, nutmeg-spiced drink. Apparently Dominica now has plans to enter the thick and chunky beverage market, too. We were finally given a tour of the indoor, warehouse-like building where actual coral propagation takes place. Clearly, this was exciting, as the proprietary technology developed by Lowe to grow corals faster than a proverbial speeding bullet would certainly be exposed. 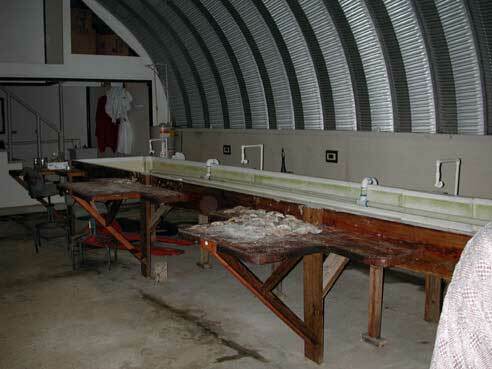 Long flowing seawater tables stretched along a length of the building with small workstations in front of the wet tables (Figure 25). As seawater wasn't actually flowing, and no propagation was taking place, we could only imagine it in action. Along the workstation were small bits of dried coral rubble, and small piles of the base material on which fragments are affixed. The base, as seen in previous figures, is a large and cumbersome X-shaped platform made of sand and resin. The bases are quite well designed for reef-replenishment, but words fail to describe how badly they would look and fare in an aquarium. The sand around Dominica is also somewhat of a problem, as it is mostly pebbled, terrigenous, black and volcanic in origin. On a reef, this is probably not an issue, but the composition of volcanic sand might not be ideal for closed system aquaria. 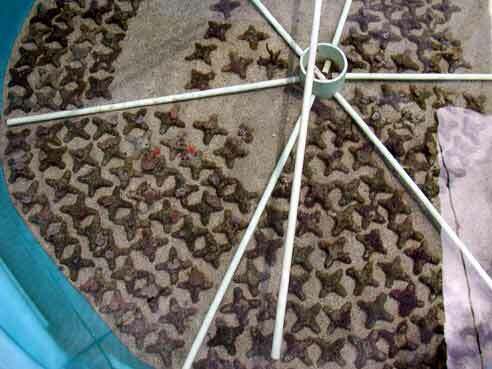 Apparently the X-shaped bases were among the "advanced marine technologies" in which Lowe had proprietary interest. The "advanced marine technology" method by which the fragmentation takes place was another of Lowe's ingenious "inventions." 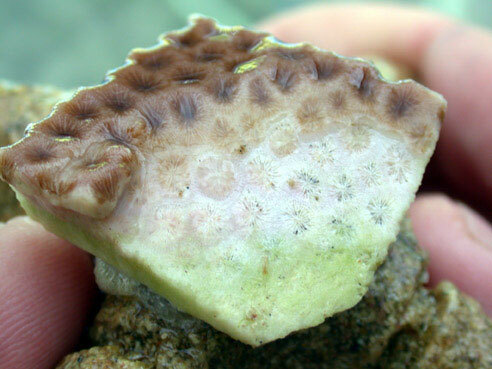 Apparently, the technique is to take large colonies of coral, use a saw or pliers to fragment them into smaller pieces, and then use epoxy or superglue to attach the fragments onto base material. I can scarcely imagine the impact such information will have on propagation efforts by aquarists from this point on! While John Fields was certainly the one to provide the expertise towards gearing Dominica up for establishing the proper requirements for CITES, and Andy Bruckner was able to provide his extensive expertise in coral reef surveys and trade issues, I suppose my forte was growing corals. It wasn't long before I was asked about certain aspects of coral culture. First notable was Mr. McDonald's excitement at the prospect of using mineral accretion technology (through electrical charge and subsequent carbonate deposition) to increase the growth and production of the corals at the facility. I tried to explain that the technique offers possibilities for certain applications, but that it had shortcomings and could result in problems. I tried to explain that it might be best to focus on things like making sure that the corals present were growing well, and that there was actually a reachable marketplace for those corals. After all, it does little good to have lots of fast-growing, slow-growing corals if all they can do is sit in tubs in Dominica. He listened attentively, and his continued enthusiasm left me believing that I had merely thought the statements above, but that the words leaving my mouth were actually more akin to "Yes, mineral accretion technology is just what this facility should be using, and immediately if not sooner." "Well," I explained, "snails, amphipods, nudibranchs, blennies, surgeonfish." "Where would we get those?" "On rocks, on the reef, depends on the herbivore," I added. "Well, we've just been paying people to come in and manually remove it, but it keeps growing back, and the increase in sunlight and temperature makes it worse. And if we remove the shade cloths, we're afraid the people picking off the algae might get too hot in the sun." "Hmmm, yes, well, the corals need the light, the circulation would take care of the temperature, and the herbivores would take care of the algae so you wouldn't have to worry about anyone getting too hot, because there wouldn't be any people having to pick off algae in the sun." "Can you write down the names of some of these things and where we could get some?" As it turns out, I was somewhat mistaken. The problem algae, for the most part, turned out to be a species of Dictyota, a nuisance algae that has become a region wide invader and space competitor. Very few things eat Dictyota - at least willingly or given a choice of nearly anything else. 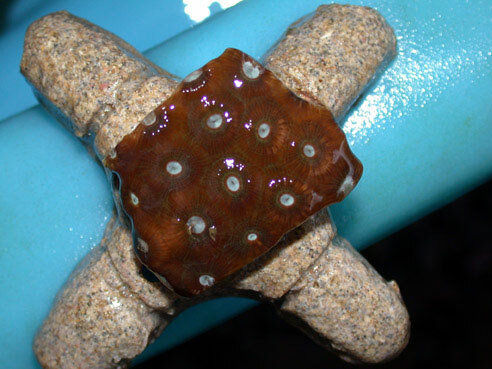 Upon seeing this, I proffered that when corals are fragmented and attached to the base, any Dictyota should be removed from any attached coral substrate that was not covered by living tissue. I also noticed that of the small army of algae removers diligently plucking Dictyota thalli, several of them were working directly in the tank, pulling off tiny pieces of algae from the corals with tweezers or pliers and then rinsing them off in the tank. I mentioned that Dictyota was a problem because each little scrap of it has a tendency to adhere to anything and form new masses. Every time ten pieces were plucked and rinsed free in the tank, ten new Dictyota clumps with a hundred new thalli would probably be produced. I suggested that when plucking Dictyota, that it should be done as some of the workers were doing; in a separate container (Figure 27). McDonald asked if screening the intakes would help prevent the "spores" from coming in. I told him that I wasn't sure that Dictyota "spores" were a major problem at 107 feet, but that the algae probably spread more through fragmentation as would occur from such things as plucking thalli and then releasing them back into the tanks. However, screening or filtering the inflow water, while probably a maintenance nightmare, would probably not hurt, but was also probably not necessary. They agreed, but then plans seemed immediately underway to develop filtration screens for the inflow. I also noticed that the tanks had a layer of sand in them approximately two grains thick. I asked what that was about, and was told that they had read that it helped with filtration. I explained that with open seawater systems, filtration was not all that important. They countered by saying that the tanks are shut off from flow periodically, and asked if it would help during those times. "How long are the tanks shut off from circulation, and why?" I asked. 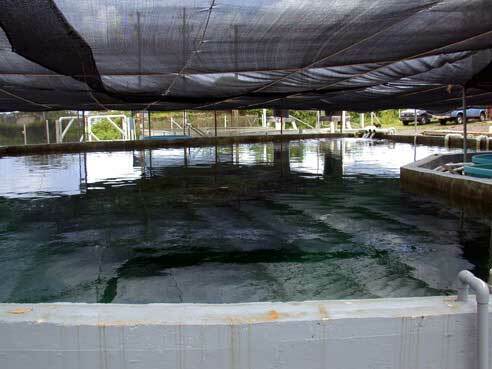 "Because of the algae problem, and the workers can't see in the tanks to pick it off when the circulation is running," came the answer. "I see," came my response, adding that, "Sand beds are indeed used as filtration, of sorts, but to be effective they have to be rather deep, and I don't think this scattering of sand will be very effective for you." "If you'd like. 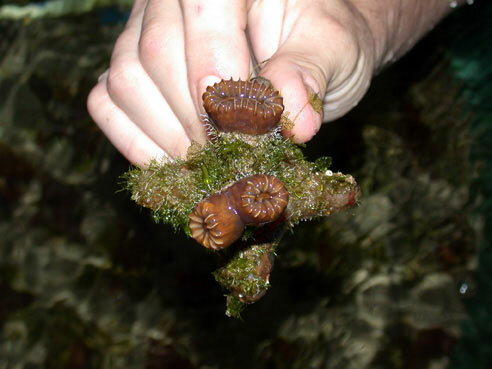 As I said, I'm not sure you need to since the systems are open, and if you get herbivores and remove the algae properly or not introduce it in the first place, then you won't need to worry about algae-pluckers seeing into the water anymore." Plans to increase the depth of the sand bed were immediately penciled into a list of things to do. Finally, I mentioned that in addition to sunlight, if they wanted corals to grow faster, it might not be a bad idea to feed them. I felt that this might be an issue since it had become apparent that the clean, plankton-rich, inflowing seawater was soon to be filtered of any substances that might have otherwise proven to provide prey or food items for the corals. Not surprised, I was asked to provide a list of foods and suppliers that they could feed the corals. I opted not to tackle the filtration-screening topic again, and said I would gladly provide that information for them. I realized quickly that this might turn out to be a trip somewhat less fruitful than originally envisioned. However, they were all anxious to get started, recognized certain shortcomings, and we were left assured that things were getting off on the right track, even if we probably left them somewhat befuddled. In the next article, I will describe what we found in our surveys of Dominican reefs, the potential of the reefs to support periodic or sustained harvest for the aquaculture efforts of OID, the reef restoration efforts of the previous owner and current goals of OID in this arena, and the likelihood of seeing beautiful Caribbean corals available to the aquarium trade in the near future. All this and more in the exciting conclusion of "Caribbean Corals Coming Soon."